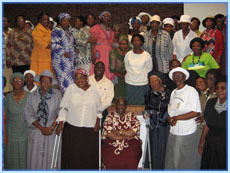 Siyakhula Trust has had the privilege of assisting many communities throughout South Africa. Projects have addressed diverse needs and focus areas. 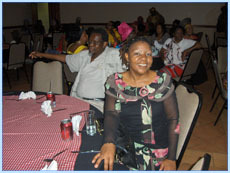 •	Contracted by the Royal Bafokeng Administration to capacitate 30 NPOs in their area. This three year project will continue to 2013. •	Currently working with NPOs and cultural organisations in the Secunda (Mpumalanga) area on behalf of SASOL. Our involvement with SASOL in this province is in its fifth year. •	Currently working with the Barolong Community Property Association on behalf of the NDA. We are capacitating them to maximize the use of 6000 ha that has just been returned to them. •	Other projects with the NDA include the support to 20 emerging co-operatives and the completion of a two year poverty alleviation project for the NDA in the Bophirima District of the North West Province. This project was regarded as the flagship project for the NDA and was drawn to the attention of the Minister for Social Development. •	Currently working with Momentum’s Mighty Hearts programme (their staff volunteer programme) to capacitate 10 CBOs in the Gauteng / Pretoria North area. •	Capacitation of the Nondweni Development Committee in the KwaZulu-Natal Midlands on behalf of Standard Bank. 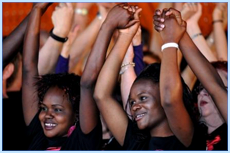 •	Involvement in the National Youth Service Project as technical advisors. •	OD assistance, coaching and mentoring to the North West CBO Network. •	OD assistance to the National Cooperative Association of South Africa on behalf of the Umsobomvu Youth Fund. •	OD and training support to youth projects funded by the Umsobomvu Youth Fund. •	Developing project management skills amongst social workers throughout South Africa on behalf of the Department of Social Development. 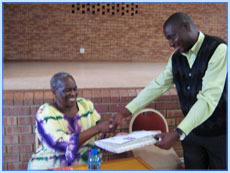 •	OD and training support to Development Centres on behalf of the Gauteng Department of Social Development. •	OD and training support to Home Based Care organisations sponsored by Anglo Platinum Pty Ltd.
•	Youth interventions sponsored by Sasol Secunda. •	The presentation of the prestigious USSALEP leadership programme. •	Developing School Governance Capacity in several provinces. •	Developing SGB and LRC handbooks for schools in the North West Province and developing North West officials to develop SGBs in their province. 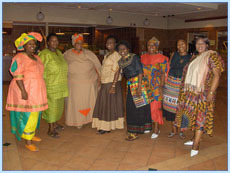 •	Developing Village Development Committees and Farmers Associations in Limpopo, Mpumalanga and the North West Province. •	The managing of an RDP project for Farmers in the North West Province. •	The training of 105 Social Workers on behalf of the Free State Department of Social Development in Community Facilitation Skills and Community Project Management Skills. •	The development of Community Liaison Officers on behalf of the North West Department of Social Development. •	The development of community facilitation skills for social professionals and other government officials in provincial and municipal departments in Gauteng, KwaZulu-Natal, Limpopo, Mpumalanga and the Northern Cape. •	Conducted Project Management training for Social Workers in all nine provinces on behalf of the National Department of Social Development. •	Orientation of provincial and municipal officials regarding National Youth Service in Limpopo, the North West Province and Free State. •	Training dairy farmers on behalf of the UN / FAO in Swaziland. •	Rendering training and train the trainer support for Swaziland Housing officials on behalf of the World Bank. •	The training of Amakhosi in Swaziland. •	Developing water committees on behalf of the UN and FINNIDA in Namibia. •	We are an appointed social partner of Standard Bank and conduct pre-funding and M&E visits on their behalf. To date, we have conducted detailed evaluations for over 50 major NPOs national wide. •	On behalf of the Eskom Foundation we have audited and evaluated over 42 NPOs and Income-generating projects in Gauteng, the North West Province, Free State and Limpopo. We have also visited 50 schools. •	We have conducted audits on behalf of Anglo-Platinum in respect of Home Based Care Associations and Early Childhood Centres in the North West Province, Limpopo and the Eastern Cape. •	We have conducted a major situational analysis in respect of the Bophirima District in the North West Province. This involved meetings with both the District and the six Local Authorities. •	We have conducted a major skills / needs assessment in the Royal Bafokeng area. We have had extensive involvement in the field of local government. Please visit our Siyakhula Trust ETD Institute Pty Ltd section to view some of the work we have conducted for National Treasury, DBSA and various municipalities.